The Harvard University campus — the whole Boston area, in fact — is filled with world class museums. The Fogg, the Busch Reisinger, the Museum of Fine Arts, the Isabella Stewart Gardiner: you’ve heard of and perhaps been to these. Do you know about the Semitic Museum, though? The Semitic Museum is part of the Harvard campus in Cambridge. Though it’s equally world class with those larger places mentioned above, it is less well known. Divinity Avenue? Semitic Museum? Is it a Jewish museum then? No. 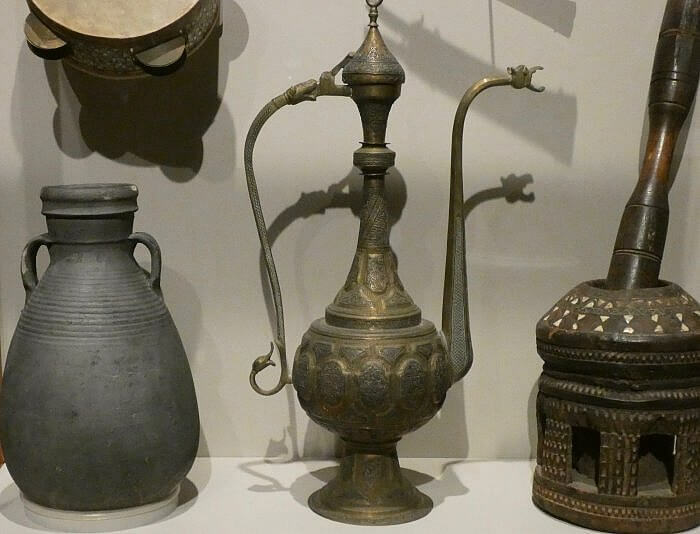 Artifacts from Israel are in its collections, but the Semitic Museum is home to a vast collection of artifacts from all across the ancient Near East. That’s where the name Semitic comes from: it refers to a family of languages some ancient, some still spoken in the area known now as the Middle East. It is also a term used by archaeologists and historians to refer to this part of the world. 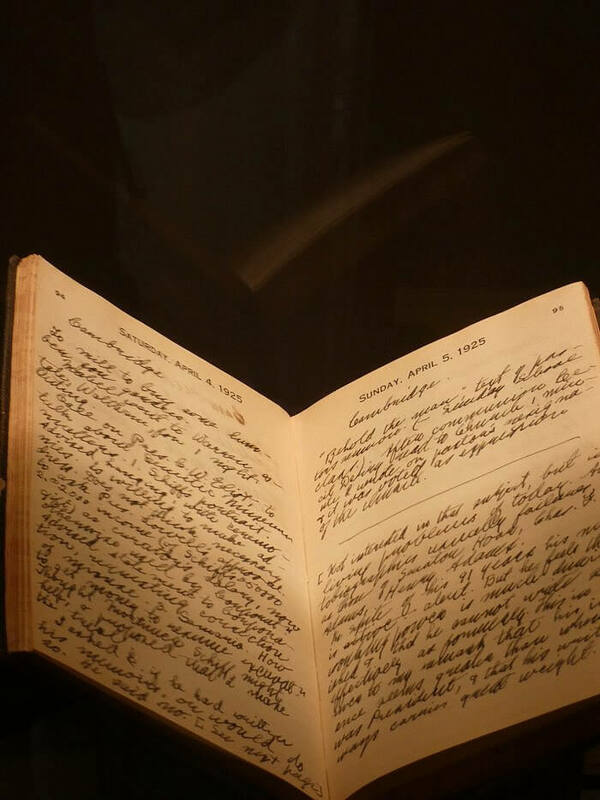 As the museum gently puts it, historical and cultural changes since the museum was founded have changed what meanings people often put to the word. The Semitic Museum has been around since 1889, in its present building on Divinity Avenue just across the street from Memorial Hall, since 1903. It is far more than a collection of ancient artifacts. At the center of its collections is the way the scholars and curators have used these objects to tell stories. It is a true teaching museum. You will learn things from its collections, whether your interest is academic, casual, or somewhere between. There are three floors to the museum exhibits. Each has distinct stories to offer. 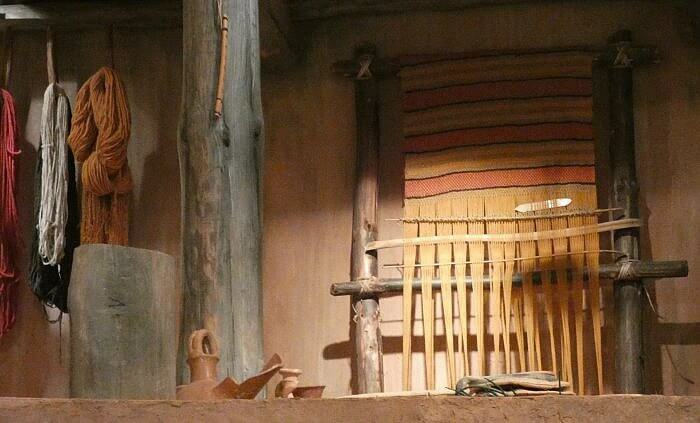 At the first floor, you will find a life sized reproduction of a family home from Iron Age times in ancient Israel. These family homes were the place for extended families to gather, and to live. This formed the base for society at the time — a time which included, among other things, the reigns of King David and King Solomon. Ancient Israel was a society based in agriculture, and in family. This kinship connection extended to ways kingship and government were understood and ideas of faith as well. This hierarchy is illustrated in this area, whose full title is The Houses of Ancient Israel: Domestic, Royal, Divine. Harvard scholars have been exploring the Semitic lands for well more than a century. For much of that time they have been figuring out ways to share and teach about architectural and other items they observed, and artifacts they could and could not bring back. The exhibits on floor two of the Semitic Museum tell stories about both these things. From the Nile to the Euphrates: Creating the Harvard Semitic Museum is what this area is called. It was Harvard professor David Gordon Lyon’s passion for the ancient Near East that led him to found and lead the Semitic Museum. An Assyriologist, he made many trips to the lands of the ancient Near East. Artifacts he brought back, and items he encouraged others to donate, form a substantial part of the museum’s collections. They come from areas as diverse as Cyprus, Egypt, Israel, and Iraq. Only a small portion of these holdings may be displayed at any one time. Some items have found their ways to collections of other Harvard museums. In this area you will also find photographs of archaeological expeditions. 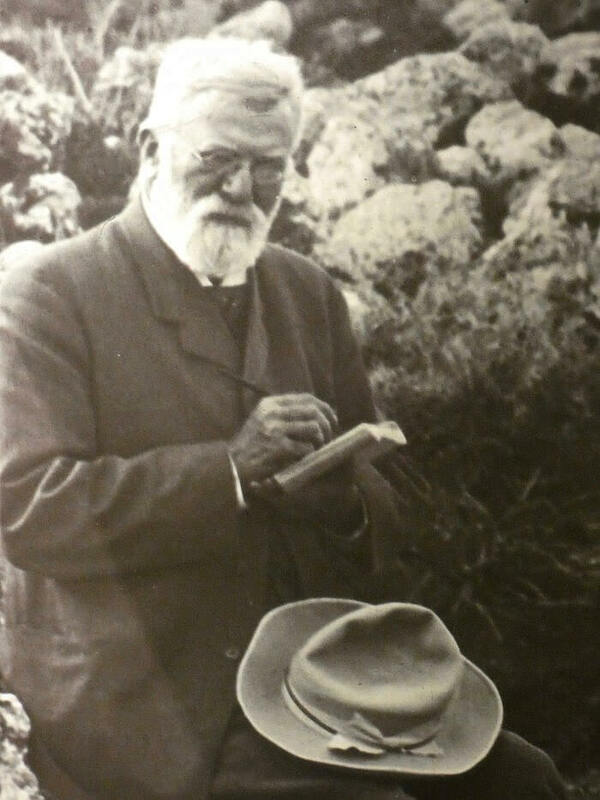 David Lyon was well known for keeping notebooks; you may see some of these too, as well a photos of the man and his colleagues at work. 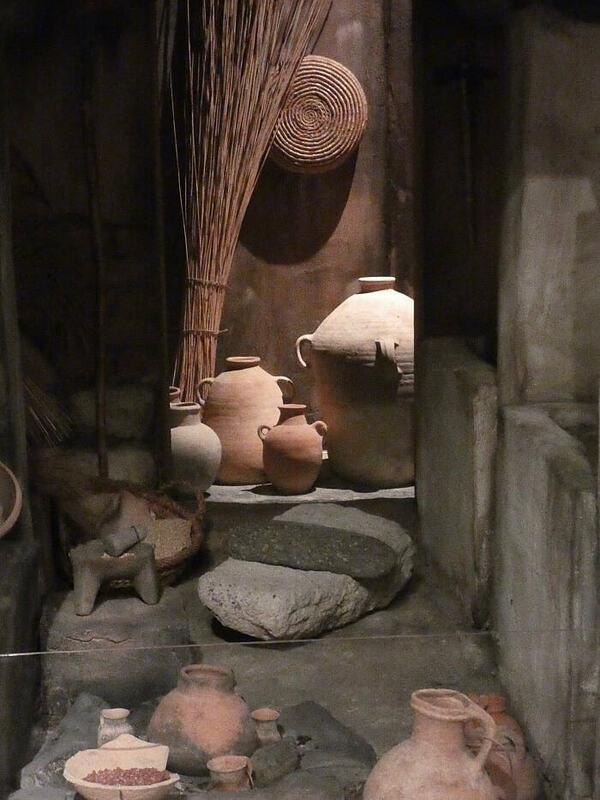 At first glance floor three it is a cleanly organized area with much space — which is needed, as the objects, reproductions, and photos span a time from about 2100 BCE to 669 BCE. Geographically, these items span locations from Turkey to Iran. This was the Mesopotamian empire. To keep such a far flung empire together, the image of a strong ruler was needed. This area is called Mesopotamia:The Propaganda of Kings. 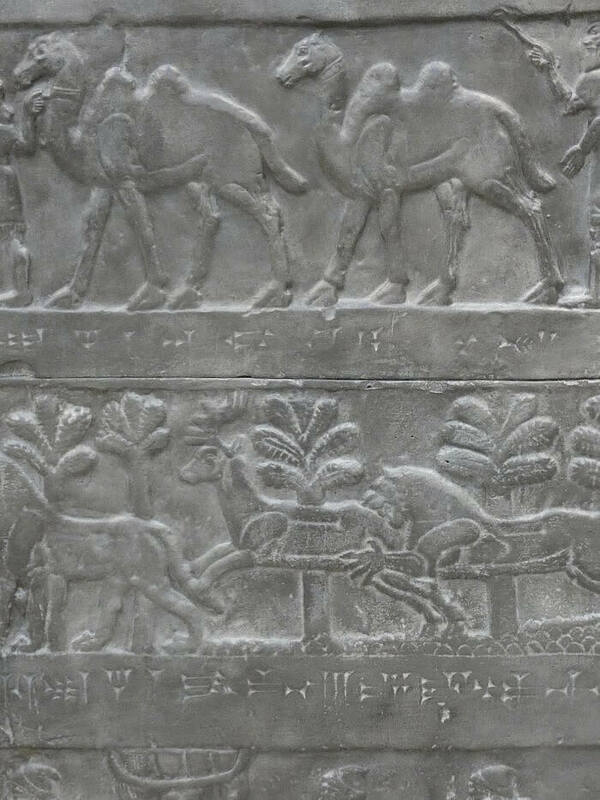 Whether the stories of Hammurabi or Sargon are themselves of interest — most art, as you might expect, shows rulers victorious in battle — you will have the chance to see plaster casts. They were a primary teaching tool of the nineteenth century. This leads you to think about how they compare with modern techniques, and with seeing the actual object. There’s much to be learned from each. In a different small area on floor three there is the reconstructed chair of Queen Hetepheres of Egypt. It was found in tiny fragments in her tomb. A team of Harvard experts from many disciplines co-operated to recreate what they (rightly) call an an ancient masterpiece, using, among other things, cedar, gold, and ceramics. Photographs and a short film illuminate their work as you stand next to the chair itself. For me, this was where all the learning in the museum and the stories of the experts who worked on other projects came together and took on deeper context. There’s quite bit more to the exhibits, and in the museum’s collections. It also hosts talks and events. 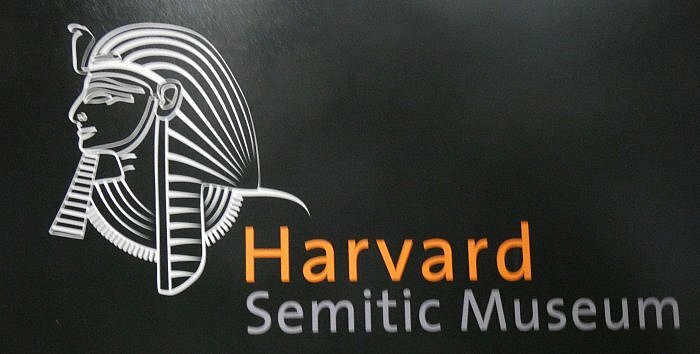 The Harvard Semitic Museum’s web site will guide you to much of the information which is available online. That said, it is well worth your time to explore the museum in person, and take some time with it. You may be surprised at what you learn. If archaeology interests you, you may enjoy this story about meeting the Lewis Chessmen of Scotland, and this one, about the National Museum of Ireland: Archaeology in Dublin. Photographs by Kerry Dexter. Thank you for respecting copyright.